These suggested questions for Sea of Tranquility are intended to help your reading group find new and interesting angles and topics for your discussion. We hope that these ideas will enrich your conversation and increase your enjoyment of the book. 1. Various clues are presented to point to the fact that Nastya Kashnikov is not Emilia's real name. What are those clues? Did you pick up on them as you were reading? 2. At the beginning of the novel, Nastya has chosen to return to school. Considering how antisocial she is, why do you think she makes this choice? 3. As the book progresses, we learn how the injuries to Nastya’s hand result in the loss of her ability to play the piano. In what ways does this loss affect her? In what other ways do the injuries to her hand affect her? 4. The themes of art and creation come up in many ways throughout the novel. Which characters are artistic? What role do you think that ability plays in the formation of their identities? 5. At one point Nastya says that she does not want to be dead, she just feels like she should be. Why do you think she feels that way? Do you think her feelings are valid? 6. Nastya explains that she doesn’t dress the way she does because she particularly likes it. Why does she dress this way? What does she hope to accomplish? Is she successful? How do you feel about her decision? 7. Nastya is drawn to Drew from the moment they meet. Why do you think this is? How would you describe their friendship? Did you ever suspect that their relationship might turn into something more? 8. What does the Sea of Tranquility represent in the story? Does it have more than one meaning? How does it tie-in to Nastya’s obsession with names? 9. At seventeen years old, Josh has lost every member of his family. How does he cope with those losses and his resulting grief? Do you think his response is natural? How do you think you would react under similar circumstances? Have you known anyone who has experienced this level of loss? If so, how was their reaction similar or different? 10. How did the alternating viewpoints enhance your understanding of the characters? How do you think the story would have been affected if told from only one point of view? 11. Nastya never explains when or why she began collecting names. When do you think she began? Why do you believe she started this hobby? Do you think she continues it beyond the close of the book? Do you believe that names have deeper meaning? 12. What are the driving forces behind Nastya’s compulsive need to run? She explains that one of her therapists referred to it as a “healthy outlet.” Do you believe it is? 13. Toward the end of the novel Nastya discovers that Josh has slept with Leigh. Why do you think he made that choice? Did it change how you felt about him? Was Nastya’s reaction to that discovery what you would have expected? How do you think you would have reacted? 14. Why did Nastya feel the need to stop talking? Do you feel her choice was justified? Do you think you would be able to remain silent for more than a year knowing that you were physically able to speak? 15. How did the attack on Nastya affect her relationship with each of her family members? 16. Neither Josh nor Nastya wants a relationship with the other, but they each have very different reasons for feeling this way. What are those reasons? Do you believe they are valid? 17. Nastya writes the details of her attack in a series of notebooks every night before bed. What purpose does this serve for her? Was it effective? 18. Nastya forms relationships with three boys over the course of the novel. How do her friendships with Clay, Drew, and Josh vary? What purpose does each serve in her life? 19. What does Nastya mean when she tells Josh she’s “ruined?” Why does she believe this about herself? Does her statement have multiple meanings? If so, what are they? Do you agree with her assessment? 20. Why does Nastya choose to cover up what transpired with Kevin Leonard at his party? Do you think her choice and her reaction to the situation fit her character? Did you agree with her decision? What would you have done? 21. Aidan Richter turns himself in after his confrontation with Nastya at the gallery. What do think drove him to do that? Do you think Nastya regrets not attacking him and getting her revenge when she had the chance? Do you think she forgives him? How did you feel when she saw his painting of her hand? 22. “The dream of second chances” becomes a recurring theme throughout the novel. Which characters receive a second chance, and in what way? Do you believe Aidan Richter gets a second chance? Does he deserve one? 23. Before the details of Nastya’s attack are revealed, what did you believe had happened to her? What was your reaction when you learned what had actually occurred? Did your feelings toward her character change once you learned the truth? If yes, how so? 24. Nastya and Josh have life histories that result in them both seeming wise beyond their years. Yet in some ways they are still naïve and inexperienced. In what ways does each seem older than an average seventeen-year-old? In what ways does each seem younger? 25. In contrast, Drew has grown up somewhat sheltered. How do you think that affects the maturity of his choices and reactions? 26. The story leaves off with Josh and Nastya in his garage together. What do you think happens next? What does the future hold for them? "Fans of character-driven fiction will find much to admire in this deeply felt novel that is an excellent example of crossover fiction." 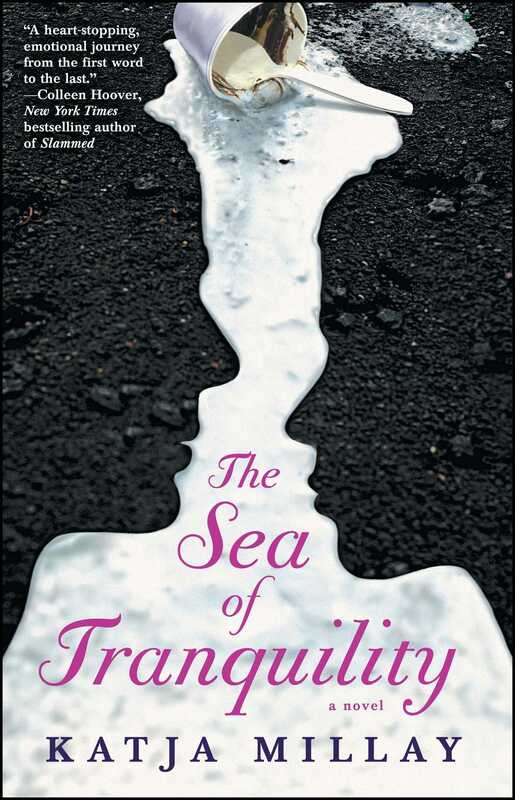 "Alternating first-person narratives allow Millay to delve into the minds of both of her main characters, and she keeps readers on the edge of their seats...Populated with perfectly realized teen characters–not a stereotype in sight–this is the ideal crossover novel." "A stunning debut. The Sea of Tranquility stole my heart, broke it, robbed me of breath, and made me ache. Read it and fall in love with Katja Millay's raw, lyrical writing." "This is the kind of story that stays with you because you can’t stop thinking about it."